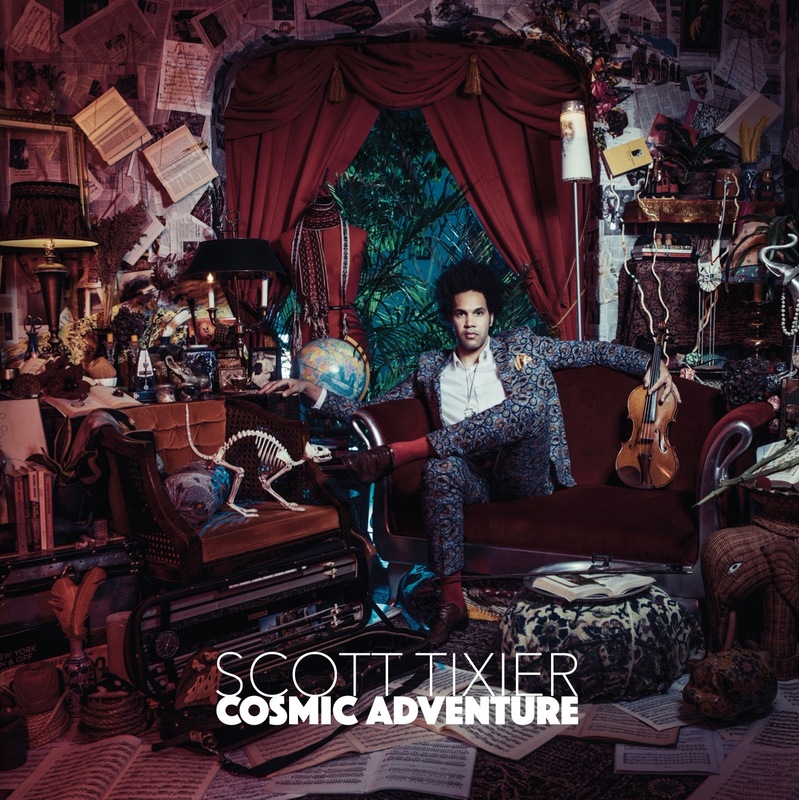 Violinist Scott Tixier strikes an ingeniously perfect balance between complexity and simple on this collection of (mostly) originals that are both modern and timeless. He matches his warm violin with a harmonica in the hands of Yvonnick Prene, creating at times a lithe front line and other moments a clever sounding counterplay. The rhythm team of Glenn Zaleski/p, Luques Curtis/b and Justin Brown/dr are augmented by Pedrito Martinez’s congas on the tricky and complexly swinging “Maze Walker” and exotically enticing “Dig It.” Tixier picks and bows through the exciting “100,000 Hours” and the seductive “Troublant Bolero” has Ellingtonian harmonics, mood and warmth as the harp and violin undulate like dancers. The team bops on the Giant Steps-like “”Nil’s Landing” and Brown’s drums rumble on a slithering and rich read of “Misty.” Tixier dances over the pulsating cantor of “King Of Sorrow,” and with Chris Potter’s cameo tenor on “Beam Me To Mars,” the tricky traffic jam veers in and out of the intersections with white knuckler dexterity. This is a real charmer; you’ll be glad you found it! ← An Interview with Matt Ulery on No Treble.